Fine Art Photographer and Painter Lance A. Williams. Fine art photographer and painter in Greenville SC. 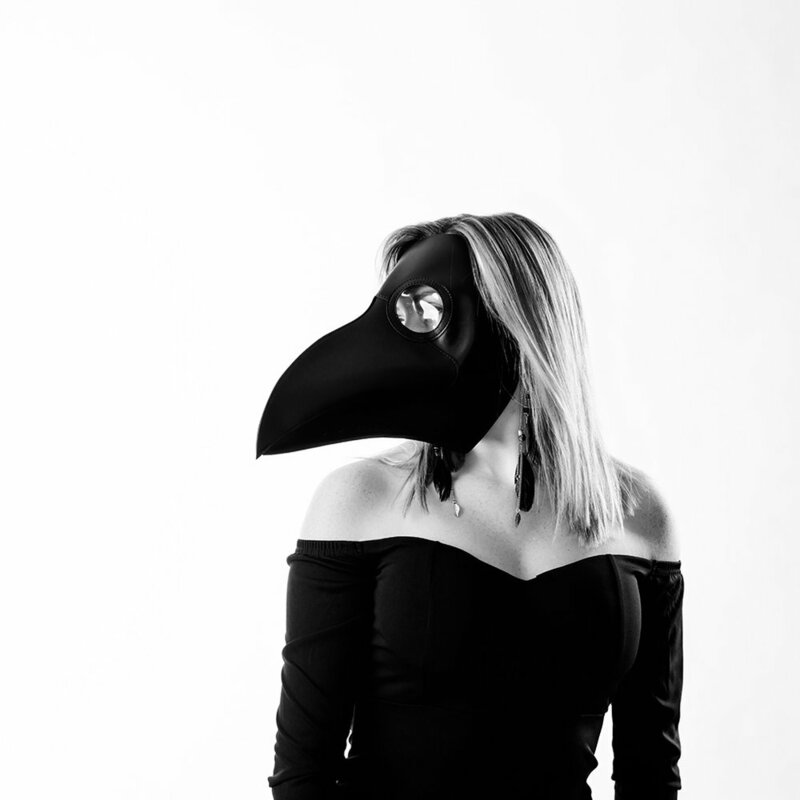 I'm experimenting with masks again and in doing so I found this plague mask. The idea was to create a contrast between a lovely young lady wearing a symbol of historical despair. Not only have I attempted to create a contrast in the subject, but also in the execution of the idea. 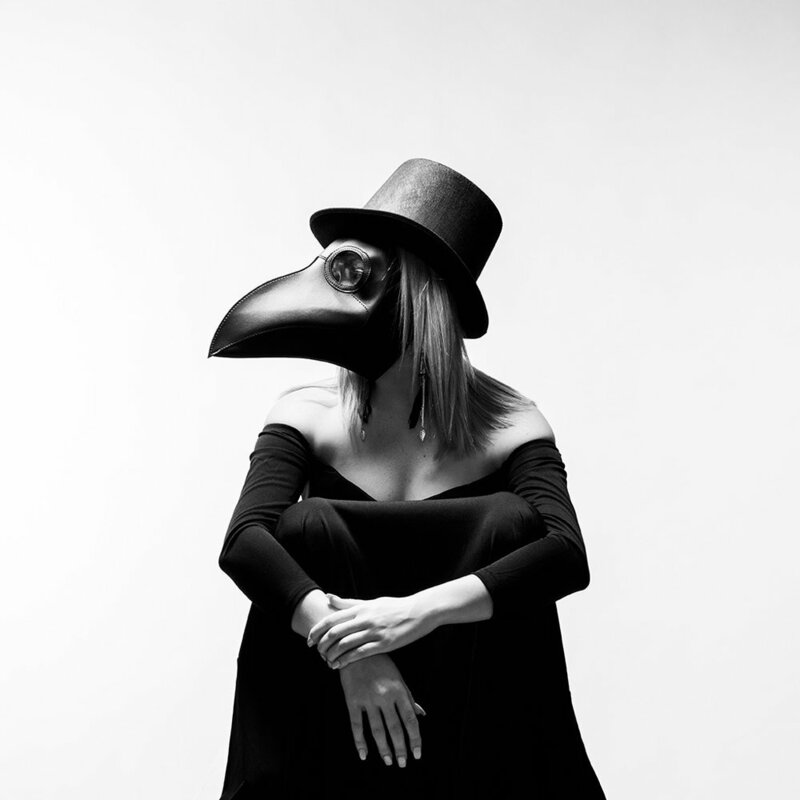 I've converted the images to black and white after photographing an all-black outfit, including the mask and hat, on a completely white backdrop. My hope in these images was to create something complex in thought and curiosity within a relatively simple image concept.